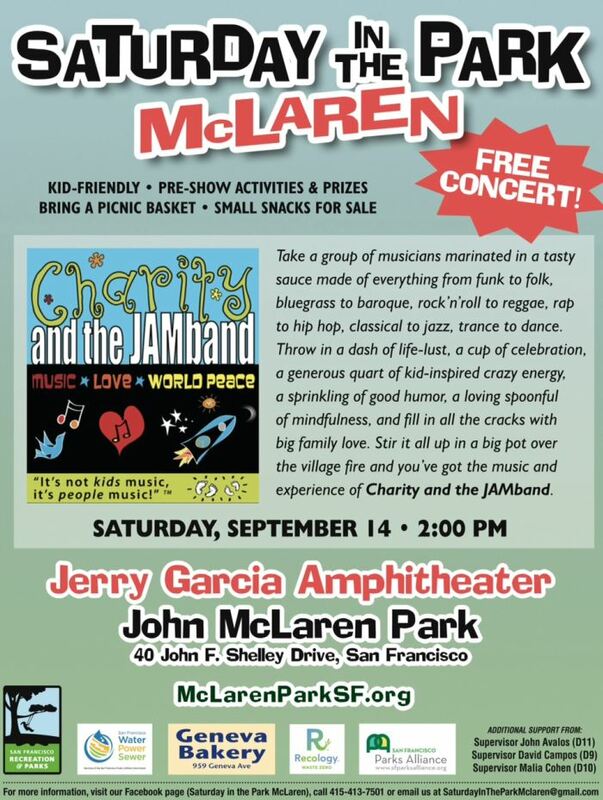 This Saturday, check out the free concert by Charity and the JAMband at McLaren Park in San Francisco. It's free and it's this Saturday at 2 p.m. 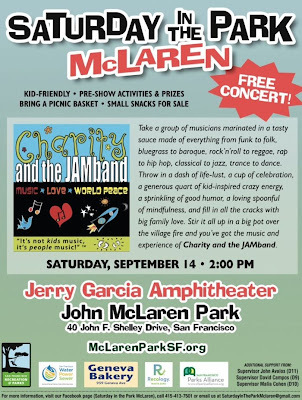 Here's a map of the park (40 John F. Shelley Drive) - the concert is at the Jerry Garcia amphitheater.